Officials brief the seminar on the rules for campaigning. The Ministry of Interior (MoI) urged the candidates of the Central Municipal Council (CMC) to abide by the regulations governing the election campaign, and not begin campaigning until relevant permits are obtained from the elections media committee. The advice came during a seminar organised yesterday by MoI, in which a number of members of the election supervisory committee spoke to shed light on the electoral campaign regulations and the voting process, in presence of the candidates of the Municipal Council. Director of Public Relations in the Ministry of Interior, Brigadier Abdullah Khalifa al-Muftah, who is also the head of the elections media committee, said that the seminar was being held within the framework of completing the stages of the electoral process, which came to an end after announcing the final lists of candidates of the CMC in preparation for the beginning of electoral campaigns. Brigadier al-Muftah reviewed the efforts made by the supervising committee during the last period in cooperation with various bodies, which in turn contributed to the timely completion of the stages of the electoral process according. 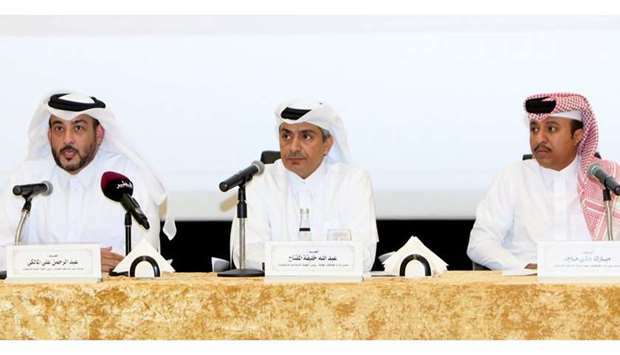 Al-Muftah added that the election campaign can begin only after obtaining relevant permits from the election media committee, pointing that the rules of the campaign stipulate slogans, phrases, mottos and images used in electoral campaign should not contradict the religious and social values of the Qatari society, nor should they carry any tribal or sectarian bias. These rules also stipulate that the official logo of the State should not be used in meetings, advertisements, leaflets, posters and other types of writings used in electoral campaigns. The rules also prohibit offending as well as questioning the credibility of other candidates directly or indirectly; stirring up sectarian or tribal strife among citizens or prejudice to personal matters. Al-Muftah said that carrying out campaigns is strictly prohibited in places of worship, educational institutions, government and public buildings, light poles and polling centres, in accordance with the decision of the Ministry of Interior in this regard. He urged candidates to keep their electoral programs within the jurisdiction of the CMC provided for by law. Brigadier Abdulrahman Ali al-Farahid al-Malki, Assistant Director-General of Information Systems at the Ministry of Interior and chairman of the Technical Committee for CMC elections, said that all polling centres will be open from 7am to 7pm on the April 16, according to the Amiri Decree issued in this regard. He pointed out that each polling centres has two entrances, one for men and the other for women, pointing to the need to bring the identity card of each voter. He said that each polling centre will witness the presence of the candidate or a representative during the voting process. Al-Malki explained that each candidate has the right to appoint a male and a female representative in each polling centres, during the voting process. He pointed out that the MoI has the right to remove any infringing means of electoral propaganda, including slogans, pictures, writings, and other posters, at the expense of the violator in co-ordination with the concerned municipality, in accordance with the decision of the Minister of Interior in this regard. Major Mubarak Ali Majid, assistant director of election administration, member of the supervisory committee for the elections, said each candidate has the right to withdraw from the elections until the first day of April, adding that any candidate wishing to withdraw must go to the election administration to fill the waiver form. He said the numbers for the sixth CMC elections are 94 candidates, including 89 male candidates and five female candidates. He said the number of polling centres is 27, where seventh and the 27th districts are decided by acclamation. The electoral supervisory committee is working to ensure the integrity of the electoral process and make every effort to provide all means that will assist the voter to vote in a calm, fair and impartial atmosphere, he explained. Members of the supervisory committee responded to the questions and observations made by a number of candidates related to electoral propaganda, its terms and means, voting procedures and other related matters.